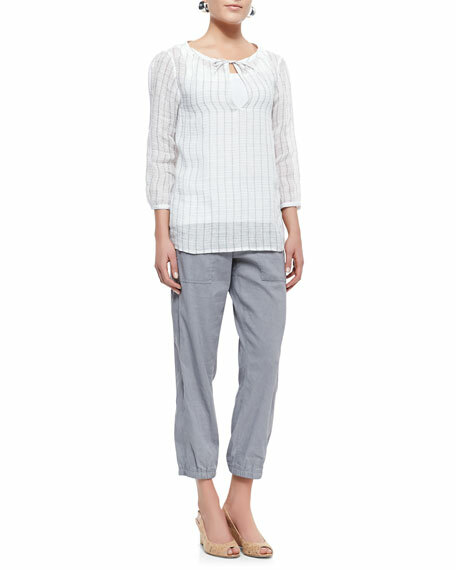 Step out this Summer in seasonable Eileen Fisher cargo pants, offering relaxed leg coverage. 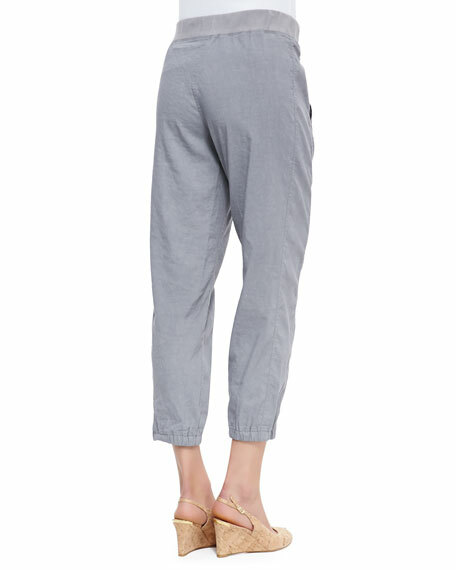 Eileen Fisher linen-blend stretch pants. Approx. measurements: 9" rise; 26" inseam; 12" leg opening. 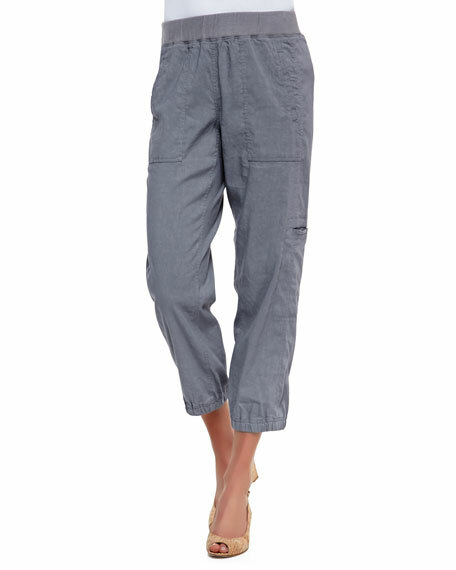 Large patch pockets at hip; cargo pocket at thigh; clean back. Model's measurements: Height 5'10"/177cm, bust 34"/86cm, waist 25"/64cm, hips 34.5"/88cm, dress size US 2. For in-store inquiries, use sku #188905.